The new portable system operates on our network using WiFi allowing for the patient to appear on a list once the exam is ordered. 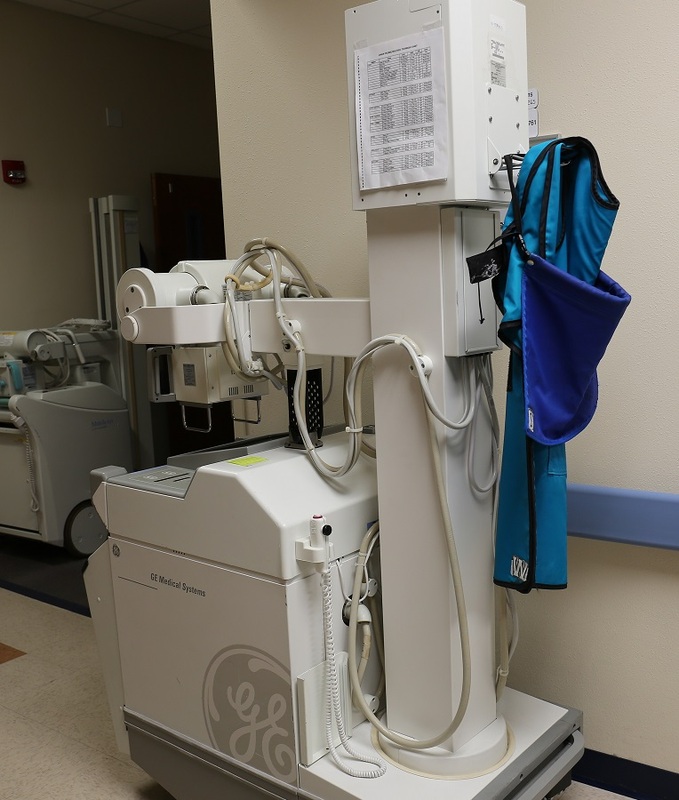 The technologist can move the DR portable into the patient’s room, using a DR plate, take the x-ray, and see it immediately on the computer screen that is right on the portable itself. This process speeds up the turnaround from minutes to just a couple of seconds. The images are then sent to the Radiologist’s computer using WiFi in seconds. The image quality is also vastly improved. The Retrofit portion of this purchase simply added a computer to our 3rd x-ray room that is compatible with the same DR plate we use for the portable machine. This turns our 3rd x-ray room into a DR room, again giving us improved image quality and faster turnaround times on the images.